Currently my Pre-School program is being offered at the Chilmark Preschool as part of their curriculum. 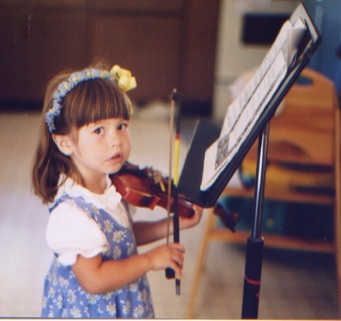 Teaching pre-schooler violin is an invigorating and challenging task for both the student and teacher. The over all goal is not to produce young virtuosos, instead it is to help nurture young creative minds. The Pre-School Program has developed over many years of experience and each year students teach me something new to include. Currently the program has the following elements. 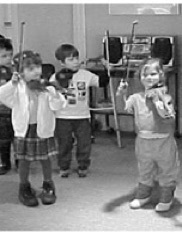 • Working on enhancing small motor coordination through holding and playing the violin. As children grow their interests change and develop. This program is designed to introduce them to the different aspects of participating in music either as a musician or an audience member. My over all goal is that when a pre-schooler graduates, they remember what joy music can offer. 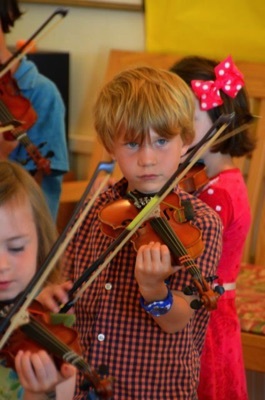 Why learn an instrument at an early age with in a group setting?